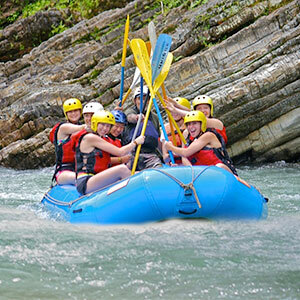 This adventurous, family-friendly, full-day trip is a unique white water river rafting adventure with lots of “perks”. 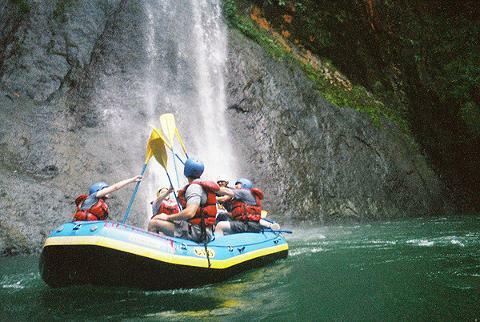 Of course you can expect, as the Manuel Antonio specialist that our world-class, internationally-trained, bilingual guides and safety kayakers will expertly guide and teach you how to navigate through this exciting river experience. 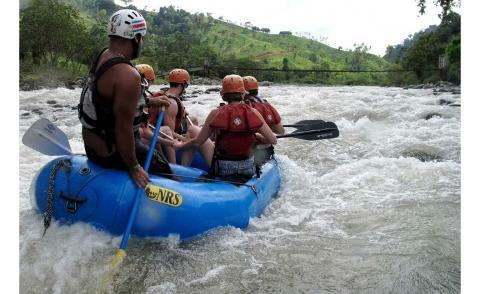 But you and your group of fellow rafters start slowly and build your way up to an unforgettable yet manageable adventure that will leave you either begging for more – so go on the Naranjo River high-octane trip next – or either leave completely satisfied and happy that you experienced one of Costa Rica’s famous rivers, the Savegre. Starting with a 4x4 ride into the “wilds” of Costa Rica’s tropical jungle with breathtaking scenery of more remote areas of the Savegre, your journey begins at “Silencio”. the winding mountains to start the rafting leg of your journey. 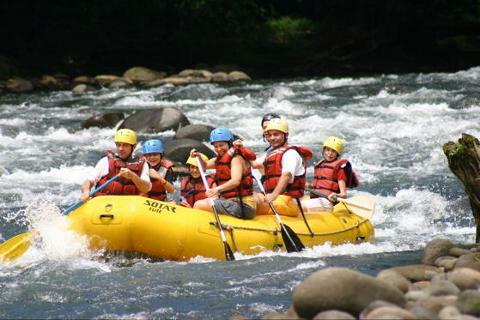 The Savegre River provides Class II, III and IV rapids that are manageable in sturdy rafts that accommodate 2 to 6 people comfortably. Our guides stop at locally known swimming spots and breathtaking waterfalls, if the rafters want a break from paddling, and there is always time to enjoy the abundant variety of wildlife along the river. On most trips, rafters will observe egrets, osprey, toucans, parrots, kingfishers, cormorants, and many other species local to this protected area of the primary tropical rain forest. After a steady 13 mile trip down the river, we wind our way back to the little village of “Silencio” where a gladly awaited hot lunch “Tico Style” and local refreshments are waiting. 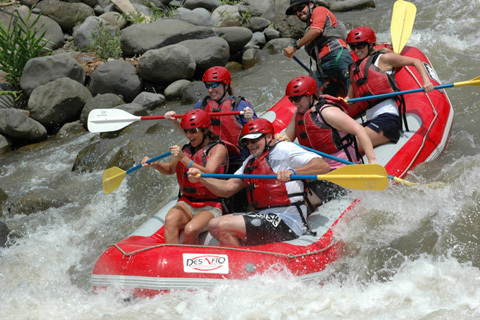 Once fed, happy and well-traveled, our now experienced Savegre River rafters spend a leisurely trip home driving back to Manuel Antonio, to ponder on continuing a rafting experience on the Naranjo River or to savor the experiences of your day just past.